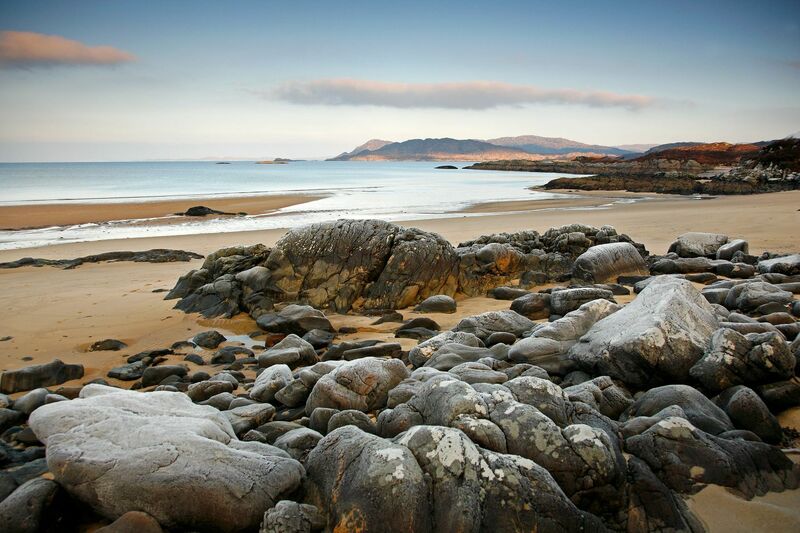 The Singing Sands at Gortenfern is one of my favourite beaches in Scotland. The boulders on the beach are covered in lichen and make a fantastic foreground to the shot. If you look closely you can see the Cuillin on the Isle of Skye on the horizon.